A Belfast based alternative lending platform, Clearpath Finance, has hit the ground running over the past fifteen months by announcing this week that it has delivered over £30M of new finance to predominantly NI based business owners. In November 2016 the company was launched to address the need for an alternative form of funding due to the ongoing liquidity crisis facing entrepreneurs, and following the opening of an office in Manchester late in 2017, and a base in Dublin, the company is going from strength to strength. By the close of the second quarter of 2018 the company will have delivered in excess of £30m in new money to its client base, an achievement Director and chartered surveyor Conor Devine is very proud of. “We have been trying now for a number of years to bring new money into the Northern Irish economy as our banks are still in poor health. Thankfully through hard work and wearing plenty of shoe leather, we have over fifty lenders now on our panel and have delivered substantial funds to our customer base. I personally feel we are only scratching the surface of the opportunity we now have, as more and more people are getting in touch with us looking for funding. 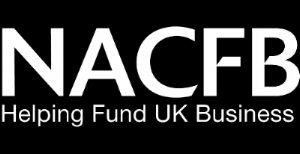 The excellent news being we are very well capitalised through our funding partners who are predominantly based in the UK, and look forward to growing the business through the next two quarters. The company, a commercial boutique finance broker, has established excellent relationships working with a select number of peer-to-peer lenders, equity and mezzanine funders and private lending consortiums across the UK and Ireland. It has also very recently launched its own high net worth fund, which provides bespoke funding solutions, for the more difficult positions. Conor Devine MRICS of Clearpath Finance said; “The SME market has been seriously under-supported by the main financial institutions over the last ten years mainly due to legacy debt and balance sheet problems facing local banks. We identified an opportunity in the market to provide third party lending to businesses and organisations looking for additional financial resources through our comprehensive experience and research. Small and medium sized businesses are vital to the Northern Ireland economy and it has been a challenging trading period for those organisations who wish to grow, support their business, employ staff and procure additional materials as they have found limited access to financial resources to do just that. Clearpath, which is regulated by the Financial Conduct Authority, will effectively offer term-loan funding, secured or unsecured at rates of between 4 and 12 per cent depending on the risk profile. SMEs are continuing to diversify their funding needs and Clearpath Finance is committed to providing those SMEs who wish to grow with the support and solutions that they require. James Gibbons, added; “Many businesses in Northern Ireland are being turned down by the main street banks when asking for support for their business for one reason or another. From the hospitality sector to renewable energy projects, Clearpath Finance, depending upon each individual case, can offer up to 70 per cent of the ‘loan to’ value, ensuring that SMEs have the access to funds when they need it, whether it is for additional cash flow, to fund an extension, or to grow their business.